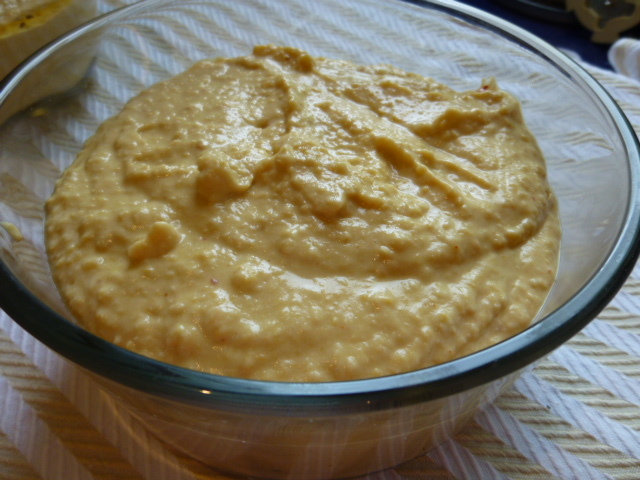 Over the years I have made many batches of hummus, but there’s one I make all the time. 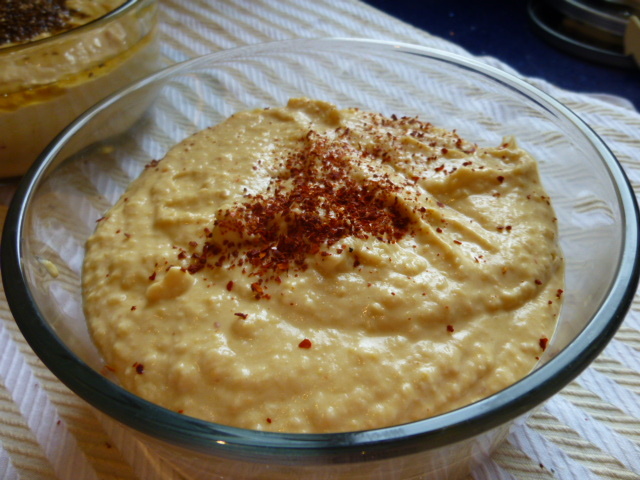 And so for our first Vegan MoFo 2013 hummus recipe what better place to start than the one I make all the time? This is my “House Hummus”. I’ve taken it to my gluten-free bread baking classes, dinner parties, potlucks, and barbecues. It’s really bright and lemony, a little bit spicy, and the tahini / olive oil combination makes it really smooth and gives it a creamy mouthfeel. 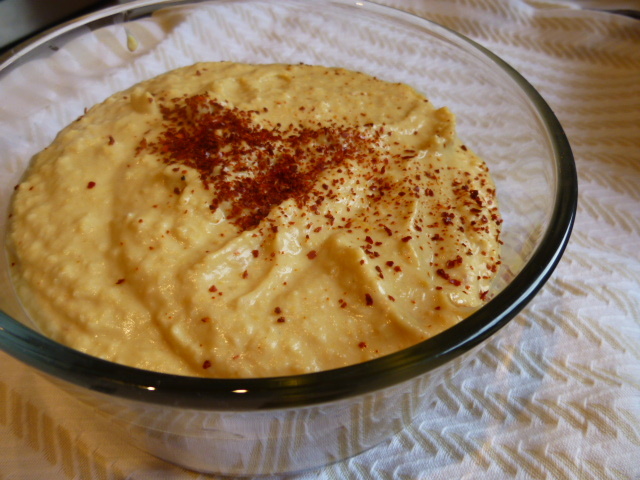 I’ve included aleppo pepper, a mild Arabic pepper that is not too hot, a bit salty and a bit sweet. If you can’t find it, feel free to sub in some dried red chili flakes, or leave it out if you’re not inclined towards too much spicy heat. If you need a “safety hummus”, this is the place to start. It always works out for me. And I hope it gets you excited for all the hummus variations to come! 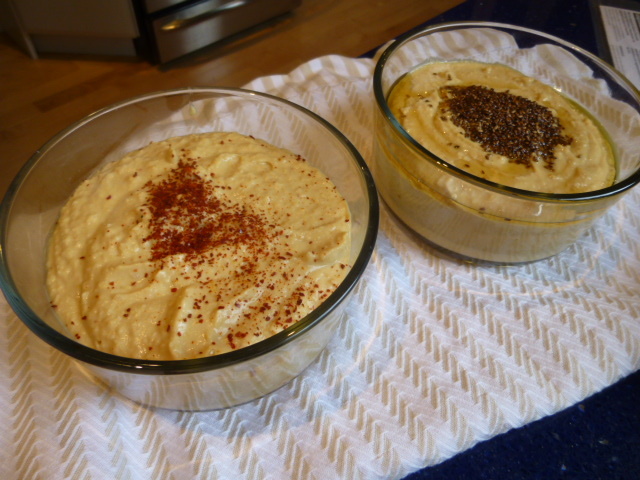 ← Why Blog A Whole Month of Hummus for Vegan MoFo? Yum! Looks delish! This is just like the recipe I make. The only difference is that I put sumac or paprika or cumin on top. I have many friends who don’t like spicy food. Sumac is a great idea — that would make it lemony! Eat with delight. That’s what I most often do with hummus! Sounds fantastic.